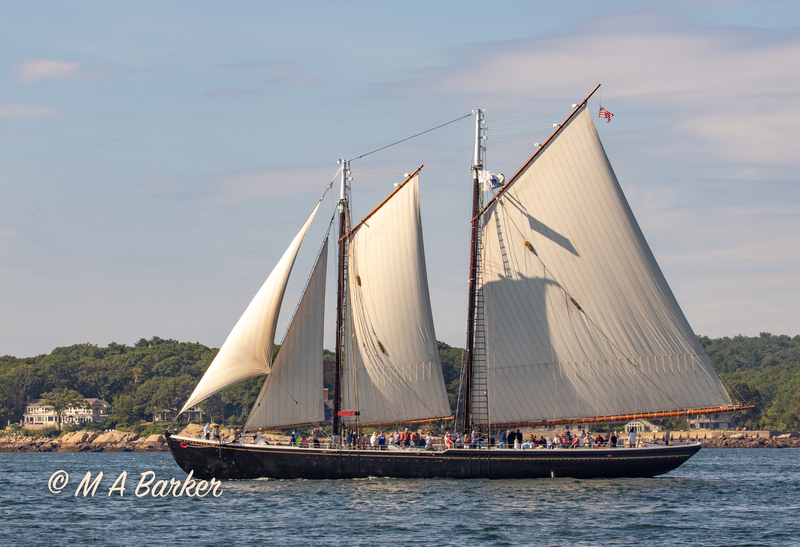 Sail on Gloucester’s flagship vessel! A National Historic Landmark and an icon of the American fisheries, Adventure is a 122′ historic wooden dory fishing schooner built in 1926 in Essex. She is a living monument to the famous Grand Bank Gloucester fishing schooners and the intrepid fishermen that sailed them. We offer educational programming, community sails for the public, special expeditions, and private charters. Host an event that will sail into history! Celebrate your wedding, retirement, or big birthday aboard this authentic Tall Ship! Adventure offers a unique venue for your next corporate outing. If you're hosting a special event for your friends, family, clients, or employees, you want it to be memorable. We can't think of a better way to wow your guests than by bringing them sailing on board Schooner Adventure. We are able to customize each occasion to fit your needs. Whether corporate outing, wedding, or private party, come aboard with us for an unforgettable sailing experience on Gloucester Harbor. Passengers can participate in raising the sails, take a turn at the helm, learn something new, or simply relax, unwind and sail! Built in 1926, Adventure is a National Historical Landmark–one of the last and greatest Essex-built wooden fishing schooners. When she retired in 1953, she was the last American dory fishing trawler on the Atlantic and the biggest moneymaker of all time during her 27-year fishing career. 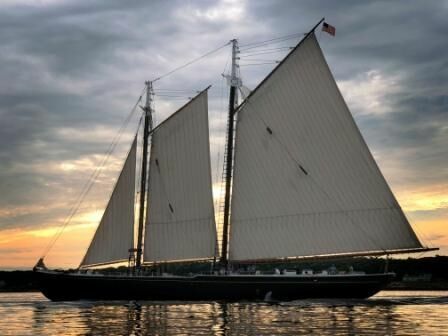 After a major historic restoration effort, Adventure now offers passengers an authentic experience full of history and the splendor of sailing a 122’ historic schooner. Adventure is available for 3 - 4 hour charters June through September. Maximum capacity is 60 passengers while underway; Dockside Events can accommodate up to 75 participants. Food and alcohol may be served on board and we are happy to recommend fine local caterers for your event. We can suggest local live music on board, as well as options for guest gifts from the Adventure ship’s store.